Hewlett Packard (HP) announced that will soon release a tablet computer called HP TouchPad Tablet in the U.S. on July 1 next. The HP TouchPad with 9.7 inch display screen which will be launched in Europe a day after it was launched at U.S., will be the first tablet computer that supported with the Palm operating system, after HP bought the company last summer with a price of U.S. $ 1.2 billion. HP wants to combine webOS Palm software than most smartphone devices to the printer, in order to prove that the company believes there is still room for other mobile software platforms in the market for tablet computers. 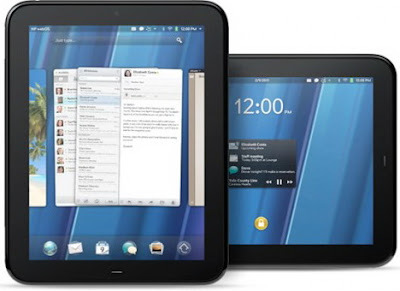 WebOS purchased along with the Palm with a price of U.S. $ 1.8 billion and had previously been used for Windows-based tablets, but webOS is a mobile operating system, thus making the TouchPad more like an iPad. The HP TouchPad price is almost the same as the iPad, with a starting price of $499.99 for the 16GB version and $599.99 for the 32GB version. Apple iPad 2 sold at price of $499 (16GB), $599 (32GB) and $699 (64GB). HP will begin taking orders next week in North America and Europe before Wi-Fi version of the gadget arrives in U.S. shelves on July 1 and a day later in England, France, Ireland and Germany.